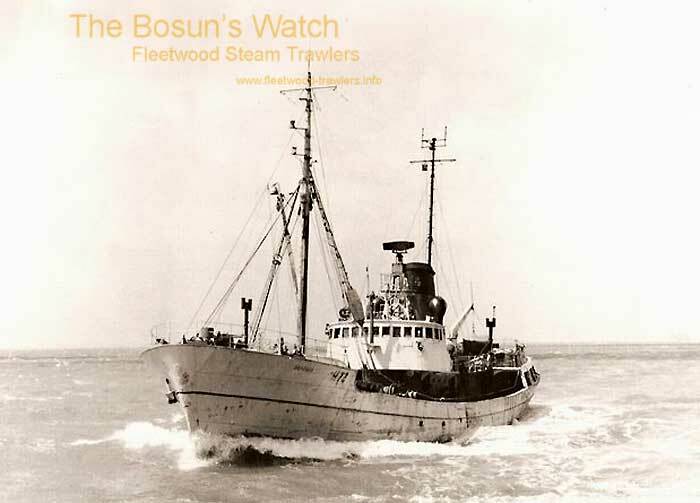 1.3.1949: Launchd by Cook, Welton & Gemmell Ltd, Beverley (Yd.No.807) for Marine Steam Fishing Co Ltd, Hull as CAYTON BAY. 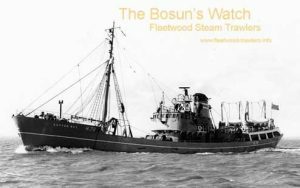 27.5.1949: Registered at Hull (H72). 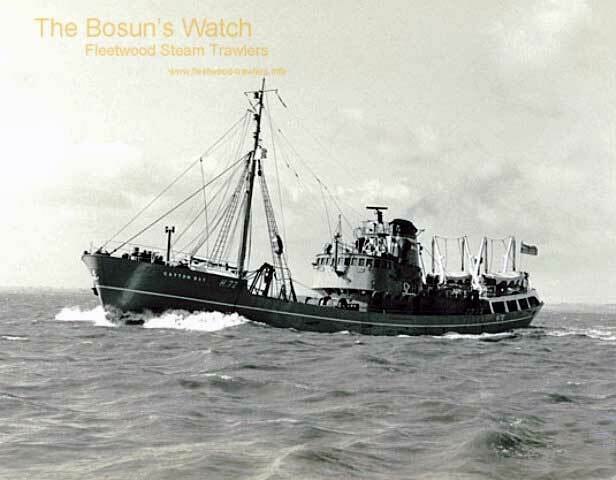 5.1951: Company and assets sold to Saint Andrew’s Steam Fishing Co Ltd, Hull (Basil A. Parkes, manager). 7.2.1952: Sold to J. Marr & Son Ltd, Fleetwood (Geoffrey Edwards Marr, Hull, manager) for £119,886. 11.2.1952: Registered at Hull as BAYELLA (H72). 9.1956: Off Spitzbergen (Sk. Charles Drever) connected to disabled Hull trawler STELLA ARCTURUS (H216) and delivered her to Hull. 8.1955: Converted for burning oil fuel, F.P. above 150° F.
9.8.1966: Sailed Hull for Iceland on last trip (Sk. R. Wright). 30.8.1966: At Hull landed 973 kits grossed £5,111. Laid up. 20.10.1966: Sold to Scrappingco S.r.l., Brussels for breaking up (£6,500). 07/06/2011: Page published. 7 updates since then. 03/12/2018: Removed FMHT watermarks from images. This entry was posted in Steam Trawlers, Steamers (Picture) and tagged Marr, Parkes on June 7, 2011 by Fred Smith.